Vietnam’s tourism industry is in danger of falling behind Cambodia and losing its top-five ranking among ASEAN countries, as the tourism sector has developed ploddingly during recent years. While in general, international tourism has been sluggish due to the global economic crisis, Asia-Pacific nations have received many foreign visitors. With a tourism growth rate of over 30 percent in early months of 2010, the United Nations World Tourism Organization (UNWTO) ranked Vietnam fourth in the world, behind only Sri Lanka, Saudi Arabia and Israel. However, tourism officers are not satisfied with the achievement as they said the sector has yet to develop to its full potential; meanwhile, Cambodia has made great breakthroughs in their tourism industry. Cambodia received over 2.3 million international tourists in 2009 and has targeted to welcome three million this year. Vietnamese tourist companies have become anxious, as seemingly the whole world rushes to Cambodia’s Angkor World Heritage Site. With concrete strategies and effective operation, Cambodia’s tourism sector has grown steadily and may exceed Vietnam’s and usurp its position among ASEAN nations. Laos and Cambodia implemented proposed plans under the program immediately. For instance, Cambodia exempted Vietnamese, Malaysian, Singaporean and Filipino people from visa requirements as of June 2008. The Cambodian Government has lost an estimated US$14 million in revenue due to the visa exemption, but on the other hand, the country has been rewarded with 500,000 ASEAN visitors every year. 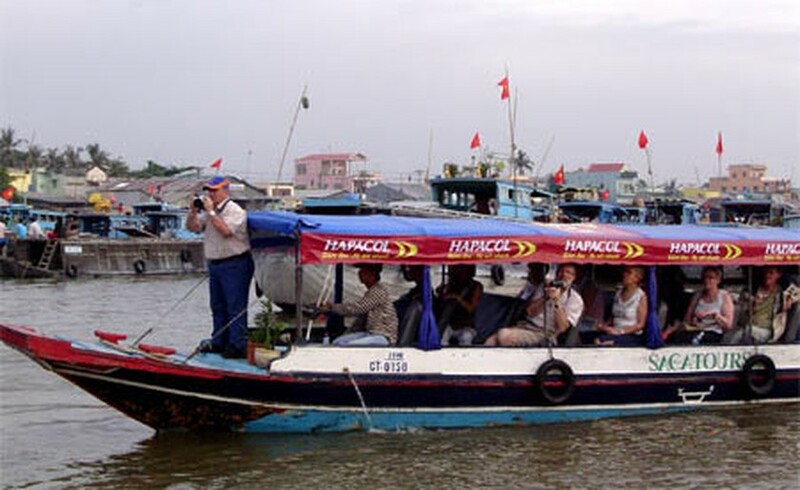 So Mara, an authority from Cambodia’s Tourism Ministry, said during his recent visit to Ho Chi Minh City that there are on average about 100 trips per day transporting travelers between Cambodia and Vietnam. Cambodia was the top market for Vietnamese tourists in 2009 with an increase of 50 percent in arrivals, while it ranked second in 2008, he added. 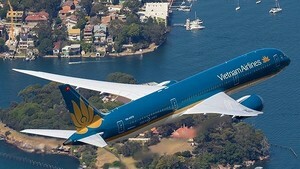 Vietnam has become a transit destination for international tourists to Cambodia, as Cambodian air services are still underdeveloped. Though the sector has obtained achievements and made great contributions to the country’s economic development, the sector has not grown further in recent years due to its failure to keep customers. Philip Kotler, father of modern marketing, has ever said that in business, attracting customers is important, but keeping them is more important. But the sector has not been successful in adopting this philosophy as the number of foreign tourists who come back to the country is very small. The sector has estimated Vietnam will receive only 4.2 million six million tourists this year, while it had expected to welcome six million. Tran The Dung, deputy director of Young Generation Tourism Company, said Vietnam’s tourism will die off if the sector does not adapt basic development measures. At present, many big tourism projects have been put into operation hastily after only 40-50 percent of state goals have been completed, leading to disappointment from visitors due to untidiness, making them not want to return to Vietnam, he added. Mr. Dung said the Government should take measures to stop investors from shoddy implementation of programs to attract foreign tourists. In addition, he said, local restaurants and hotels usually raise prices sharply on holidays. The Tourism Association should intervene by calling upon its members to boycott and not take visitors to overpriced luxury restaurants and hotels, he added.